For over twenty years, Alfonso Cuaron has been writing and directing some of my favourite films, from small scale Coming of Age productions such as Y Tu Mama Tambien to big budget Hollywood hits Gravity and Harry Potter and the Prisoner of Azkaban. 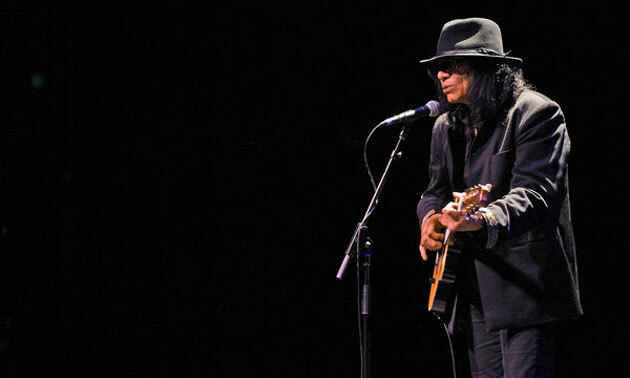 He has an unerringly consistency to his films, with a strong eye for characterization and storytelling. Its easy to forget that the first two Chris Columbus Harry Potter films were rather soulless Hollywood movie adaptations and that it wasn’t until Cuaron’s Prisoner of Azkaban that the films achieved a greater depth of character and a more visually distinctive look and feel. With Roma, Cuaron has returned to his roots, telling a tale set in early 1970s Mexico, inspired in part by his own upbringing. 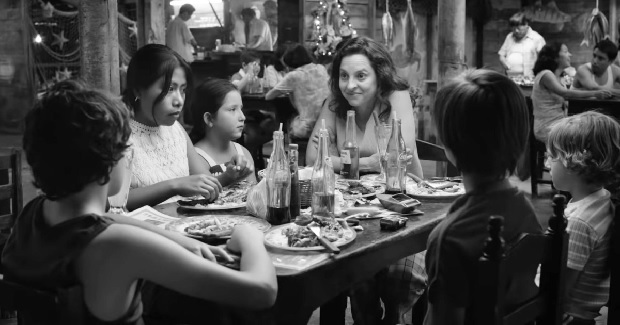 Roma follows the lives of an upper middle class Mexican family, through the lens of their housekeeper Cleodegaria “Cleo” Gutierrez. The household is run by matriarch Sophia who lives with her four young children, mother-in-law Teresa and her husband Antonio who goes away for weeks at a time on business trips. Doing the housework is Cleo and another maid Adela. 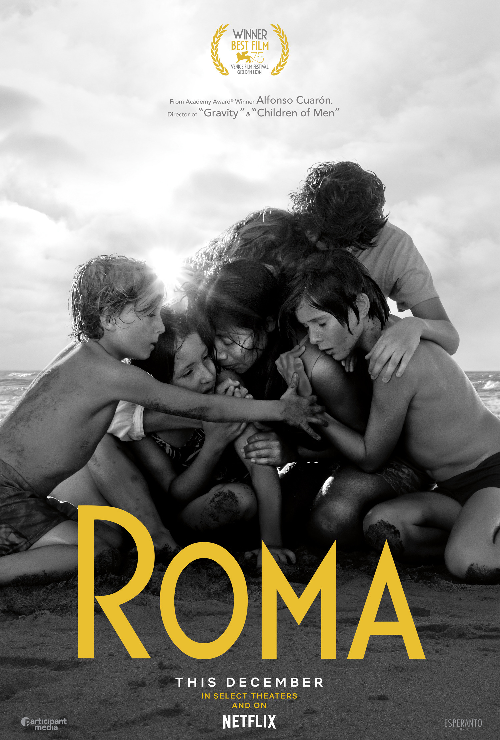 Roma is a methodically paced family drama centered around two ongoing developments – the gradual collapse of Sophia’s marriage to her increasingly distant husband and Cleo’s unplanned pregnancy to a young man Fermin who runs out of town when he learns the news. I felt immediately connected with Roma. It is a visually sumptuous film that invites the viewer to pour over every inch of the screen, absorbing the little details of the household. Cuaron rewards you for taking that look. The film is a masterclass in Show, Don’t Tell and we learn a lot about the family dynamics –how the mother-in-law fits in, the relationship between the maids and the kids, who interacts with the family dog – through little glimpses of them going about their lives in the background of the film. I’ve never been to Mexico before and I wasn’t born in the era that the film is set in but I found myself relating a lot to Roma. The sweaty and humid atmosphere, the co-habitation of upper middle class families and house keepers, the hustle and bustle of the streets – I found many direct comparisons to my own upbringing in South East Asia in the Eighties and Nineties. Roma is a film of real quality. Cuaron invites the viewer to make observations about the challenges that Cleo and Sophia face that can be political, historical and societal without force-feeding any particular viewpoint. 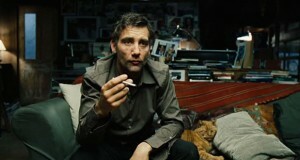 It’s to the film’s credit that the characters are well rounded and don’t conform to being simple caricatures. A lesser film could have made Cleo a faultless saint or had Sophia treat the maids with cruelty to try and drive home a certain viewpoint but Roma is much more than that. Cleo and Sophia co-exist in the same physical space but the problems they face are worlds apart. And despite their differences, there are moments where they come together to support one another in times of dire need. Much has been written about the distribution model for Roma, which had an extremely limited theatrical run and instead has gone through Netflix as its primary means of reaching audiences. I understand the concerns of purist cinephiles – the film is so gorgeous to look at that it seems a crime that 98% of its audience won’t see it on a big screen. On the other hand, I’ve written previously about how award season films in Australia are held back from release for months by distributors until the Academy Awards have aired and can be frustratingly difficult to catch. By comparison, leading with Netflix means that Roma will likely be seen by potentially hundreds of thousands more viewers. Time will tell what the long term effects could for award season films choosing Netflix first but at first glance, I’m not entirely against the move. More eyes on arthouse films can only be a good thing surely? Whether you see it in a cinema or on Netflix, Roma is an easy recommendation. It is a fine film anchored by some terrific performances from Yalitza Aparicio and Marina de Tavira who picked up well deserved Best Actress and Best Supporting Actress nominations for their respective roles. Cuaron continues to make one great film after the next. He may well be the most consistent director working in the industry today. Summary : The ever reliable Alfonso Cuaron delivers another outstanding drama. The incredible cinematography is a highlight.